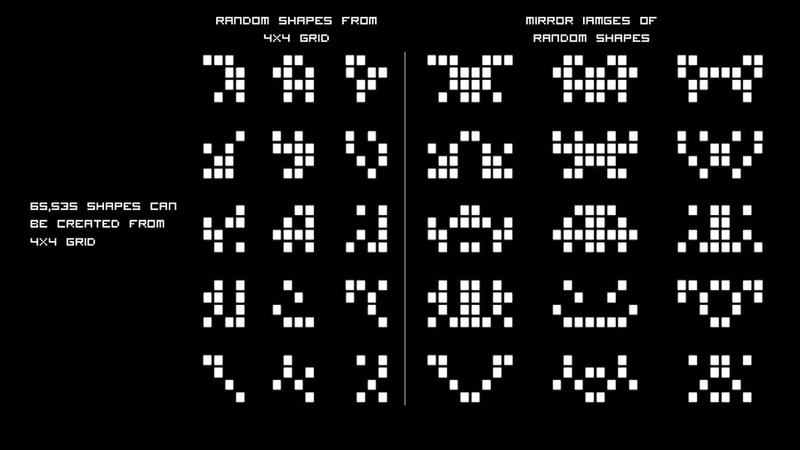 ‘Space Invaders’ is a facade concept for single person dwellings in the city which plays with the idea of collective individualism. 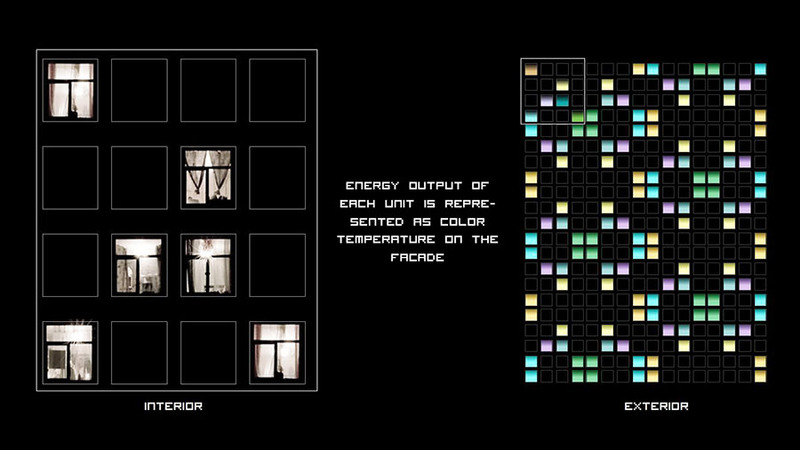 It uses occupation levels of each unit within multi-storey dwelling to form a set of coded information which can be translated into graphical representation of tiling pattern. 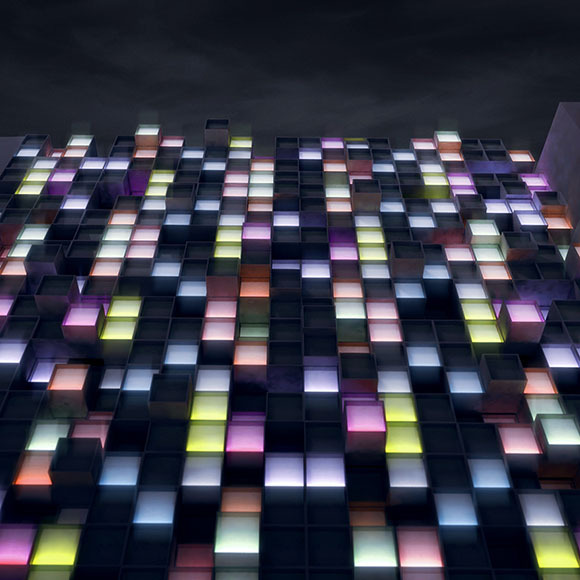 The ever changing occupation level of the entire building becomes the input device for the building façade which transmit images of tiling patterns created by this information at each moment using coloured lights. 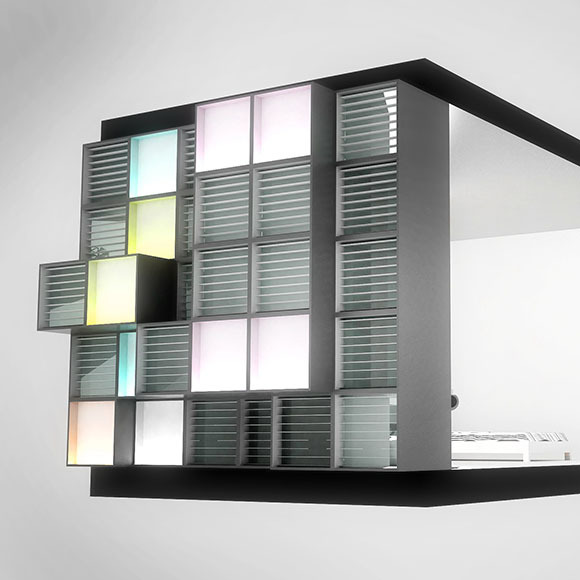 Here the design of the building neither constrains or is constrained by the uses, instead, the building itself becomes a building size signage which communicates through a language of graphics which expresses the way the building is occupied. 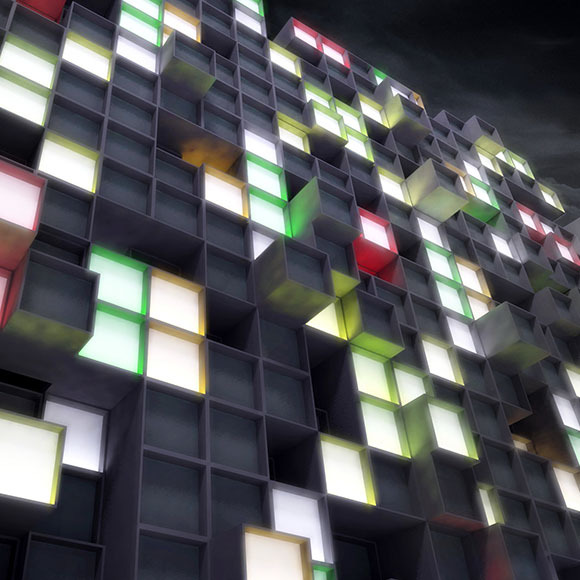 This project, through patternisation of the occupation of building, tries to reveal the hidden layer of collectivism which exists in any form of society. The individuals with or without understanding contribute to the shape of the society. This project is a simple method of magnifying such relationship. 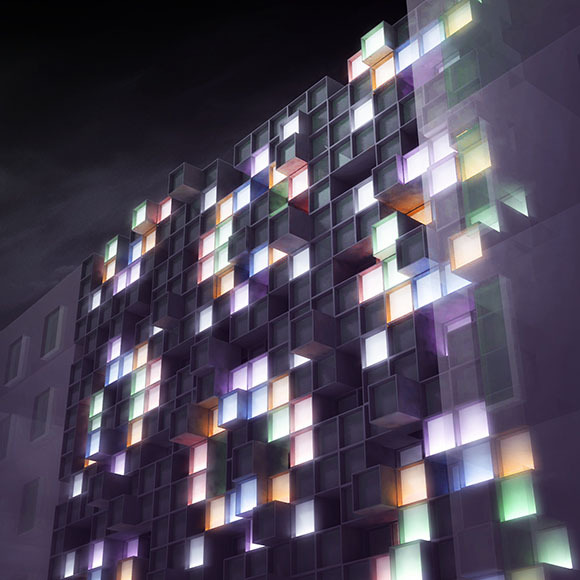 The façade is entirely fabricated as assembly of pixels which houses colour changing LED lights of its outer face, and the energy use of individual units are translated as the colour temperature of specific locations of the lights which repeats and mirrors to tile the entire facade. 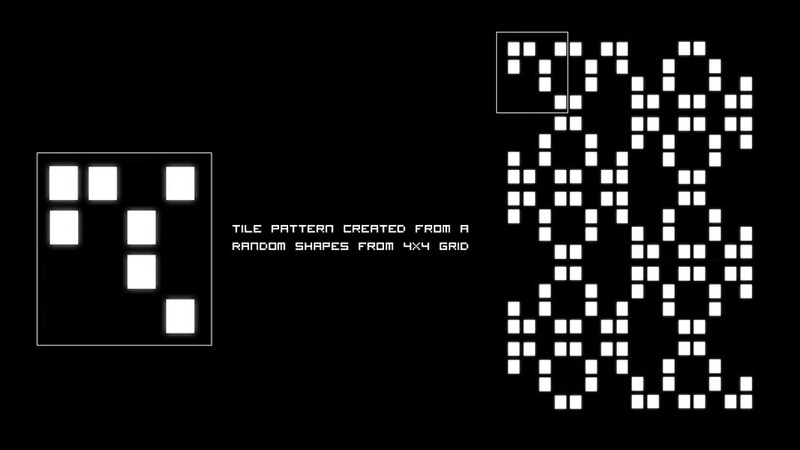 The mirror and tiling idea was borrowed from the characters of retro computer game, ‘space invaders’ which can be emulated by mirroring random binary patterns on a grid. 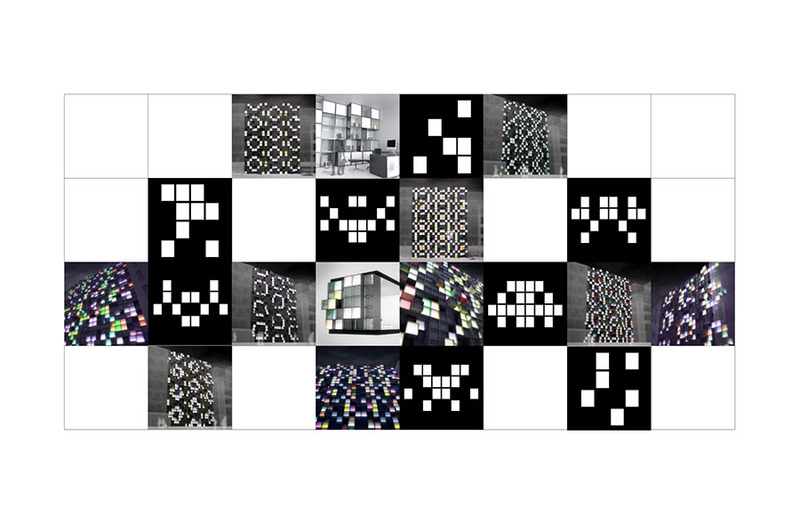 Same as mirroring, tiling is another simple strategy to give randomness a structure. 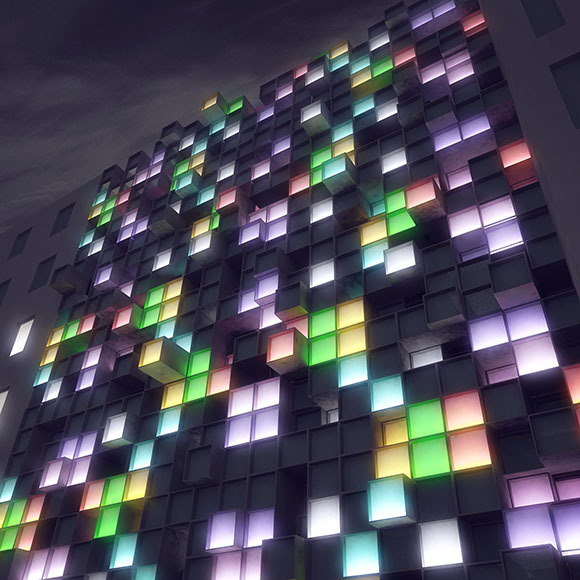 In this project we have used 4x4 grid - corresponding to the grid of dwelling units of the building - which can generate 65,536 different binary patterns. 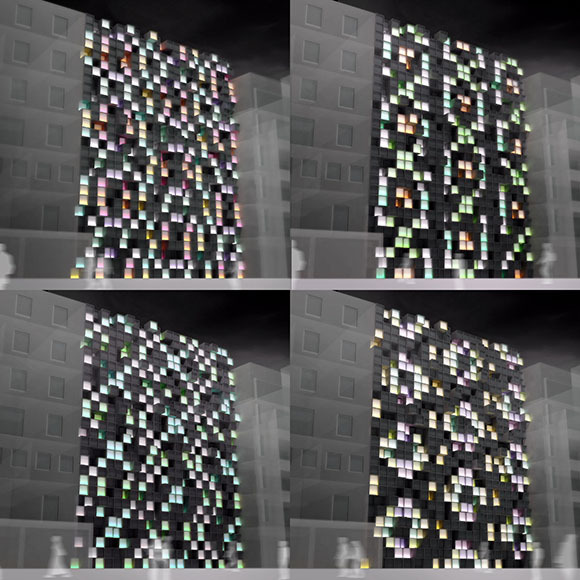 Each variation becomes a seed for a unique tiling pattern as it is repeated and mirrored to cover the entire façade made of 320 pixels of lights.